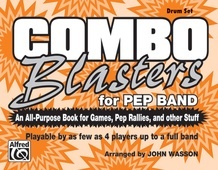 This flip-folio book set contains pep band charts arranged by John Wasson that are playable by as few as four players up to a full band, with rock rhythm section parts. 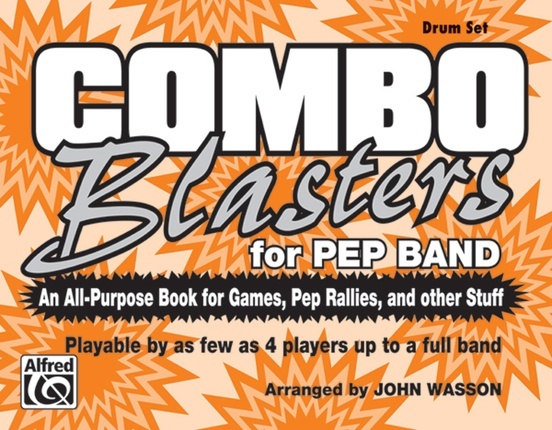 Either the separate MIDI disk or the included accompaniment CD can replace the rhythm section as needed. It's a unique concept and a great value! The titles are: The Star-Spangled Banner * Land of a Thousand Dances * Proud Mary * Louie, Louie * Tequila * Twist and Shout * Sweet Georgia Brown * Gimme Some Lovin' * Old Time Rock 'n' Roll * Soul Man * Celebration * Macarena * Sing, Sing, Sing * Smoke on the Water.